I WAS surprised to learn recently that a new veterinary school graduate told her mother (a longtime student of All Dogs Gym) to avoid taking her new puppy to puppy classes or day care for fear of illness. Really? Apparently her veterinary education neglected the critical, potentially life-saving importance of early socialization. The scientific evidence to the contrary of her recommendation is so ample, it boggles my mind that the next generation of veterinarians might not be learning about the affect of lack of socialization on future behavior. 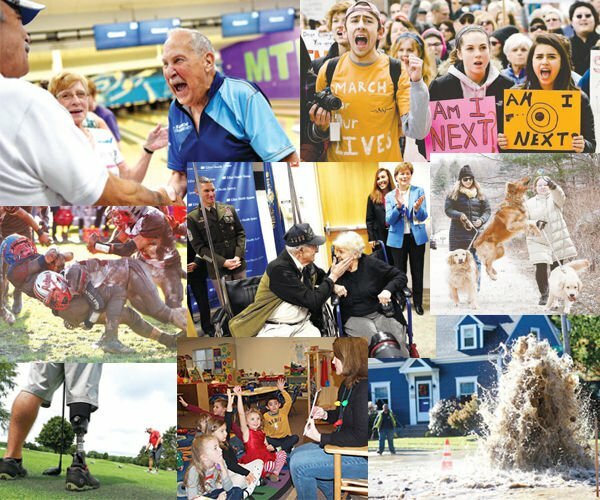 Early in my nearly 50-year career, I became interested in the psychological development of the dog, including the impact of socialization on behavior. Because of what I learned more than 40 years ago, I started offering socialization and training classes for puppies as young as 8 weeks in the late 1970s. Recognizing the importance of socialization, when All Dogs Gym pioneered doggy day care in 1993, we included puppies 8 weeks and older. Our statistics on puppies over these past 40-plus years demonstrate that the risk is so minimal it is practically nonexistent. It’s not unrealistic to say that 10,000 to 20,000 puppies have either taken our puppy classes or attended our Puppy Place day care over the years. In all this time, we have had fewer than 10 puppy owners report a serious illness such as Parvovirus — the biggest fear owners and veterinarians have. That is less than .1% of dogs. Not 1% — point one percent! Is there a risk of illness? Yes, small though it may be. But let’s look at the other side of the issue — behavior issues resulting from lack of socialization. Multiple studies show that shyness and other behavior issues are pretty much guaranteed if a puppy does not get socialization prior to 12 weeks (and no later than) 16 weeks of age. Unsocialized dogs develop “neophobia” — fear of “the new.” Unsocialized dogs are often timid, have fewer coping skills, stress more easily, are fearful of new people and in unfamiliar environments and situations. In July 2008, the American Veterinary Society of Animal Behavior (AVSAB) issued a position statement that puppies should begin socialization before their vaccine series is complete, starting as young as 7 or 8 weeks. The group’s reason: The No. 1 cause of death for dogs younger than 3 is related to behavior issues, not infectious disease. I am not advocating ignoring veterinary advice. Statistics are meaningless if it’s your puppy that gets sick. But it’s worth a conversation with your veterinarian if, as with our student’s daughter, he or she recommended waiting until your puppy’s vaccinations are completed (after 16 weeks) before attending puppy classes. If you would like additional references or suggested reading to learn more about the importance of early socialization, email me. I’ll be writing more on this important topic in my next column, which is scheduled for April 28. 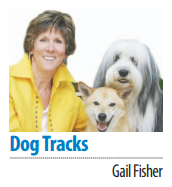 Gail Fisher, author of “The Thinking Dog” and a dog behavior consultant, runs All Dogs Gym & Inn in Manchester. To suggest a topic for this column, which appears every other Sunday, email gail@alldogsgym.com or write c/o All Dogs Gym, 505 Sheffield Road, Manchester, NH 03103. Past columns can be found on her website.